The large adoption of the cloud paradigm is introducing more and more scenarios where users can access data and services with an unprecedented convenience, just relying on the storage and computational power offered by external providers. Also, users can enjoy a diversity and variety of offers, with the possibility of choosing services by different providers as they best suit their needs. With the growth of the market, economic factors have become one of the crucial aspects in the choice of services. However, security remains a major concern and users will be free to actually benefit from the diversity and variety of such offers only if they can also have proper security guarantees on the services. 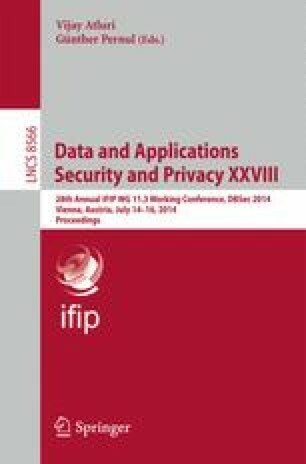 In this paper, we build upon a recent proposal for assessing integrity of computations performed by potentially untrusted providers introducing some optimizations, thus limiting the overhead to be paid for integrity guarantees, and making it suitable to more scenarios.